Actually, Iguazu Falls’ spelling is Iguaçu. Then again, it can also be Iguassu or even Yguasu, depending on whom you ask. But don’t let grammar get in the way of what really matters. In native Guarani, Iguazu means ‘big water’ and nothing you can do to the spelling of the name, will ever change that fact. Iguazu Falls is one of the astonishing wonders on our planet and arguably the most awe-inspiring waterfalls you will ever see. There may be higher (Venezuela’s Angel Falls), and there may be wider (Victoria Falls on the Zambia/Zimbabwe border) but I challenge anyone to argue that any are more spectacular. In sheer volume of cascading water, this UNESCO treasure rates among the most potent. Consisting of 275 separate waterfalls, which combine to create a curtain of water over 2.7km in length, Iguazu drops an astonishing 1,75 cubic meters of water PER SECOND. And this, mind you, is just the yearly average. Tour Iguazu Falls at peak flow season, between the months of November and March, and you’ll witness a volume almost 7 times greater than the yearly average. This completely overpowering force of nature has a way of making visitors feel totally powerless, almost insignificant. Many claim the first glimpse of Iguazu left them feeling quite emotional, and I can’t deny that even writing about them, when my memories are still so vivid, doesn’t cause a noticeable case of the goosebumps. No matter how many waterfalls you’ve admired in your life, and how many photos of Iguazu you’ve seen, there’s nothing that can prepare you for the spectacle of a face-to-face meet. Even the most jaded of traveller can’t help but be utterly impressed. 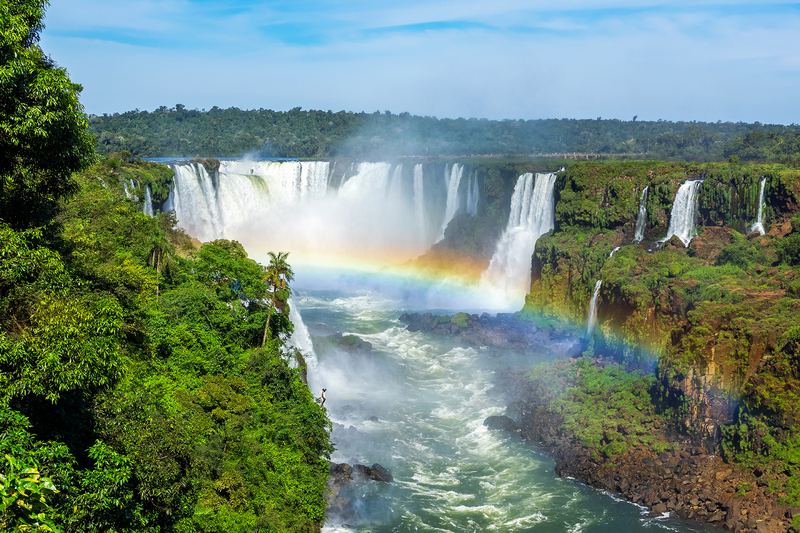 Upon first laying eyes on Iguazu, US First Lady Eleanor Roosevelt famously commented ‘Oh poor Niagara!’, although we find guests’ most ubiquitous first word to be WOW! Followed by a few seconds, or even minutes, of complete silence. Being awe-struck has that effect on people. Garganta del Diablo – Face the Devil head-on! 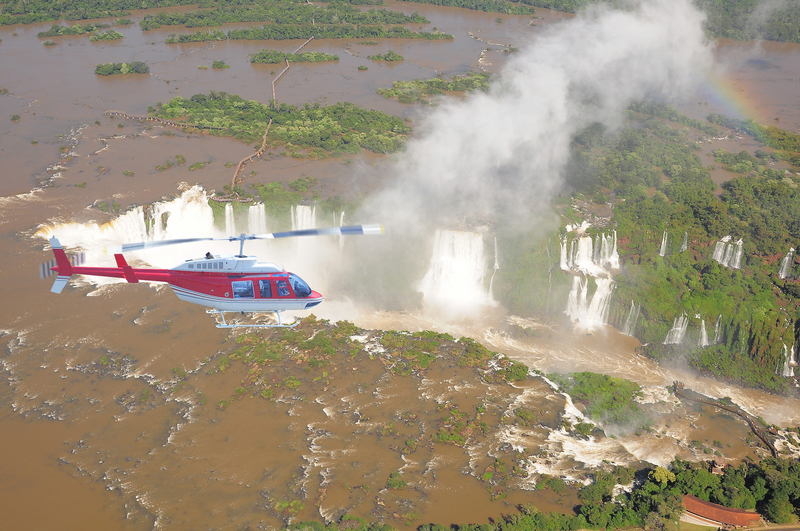 No matter how blown away you may be when you first cast your eyes on Iguazu, consider it an appetizer. The true mind-blowing experience happens the moment you step aboard a speed boat and high-tail it to Devil’s Throat (Garganta del Diablo), the crown jewel of Iguazu. Here on the Argentinian side is where you’ll find the largest curtain of water of all, with a system of 14 falls, dropping an impressive 82 metres. The speedboats take you right up to the centre of the action, and right under the falls. Expect to get soaked and expect to come out completely exhilarated! 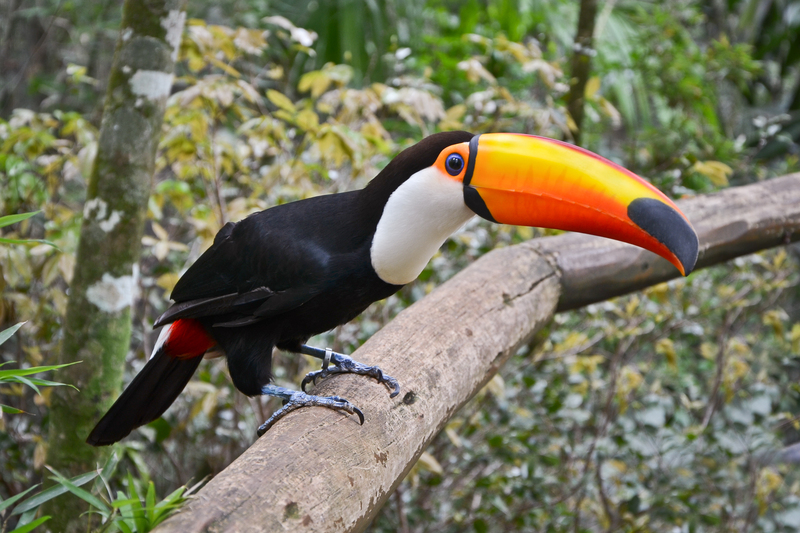 Toucan at Iguazu National Park. As far as tourist pulling power is concerned, Iguazu is no shrinking violet and competes with Machu Picchu in attracting about a million visitors a year. What sets it apart from other waterfalls, aside the gargantuan size, is the incredibly luscious national park in which it rests. This section of the Atlantic Rainforest is one of the last remaining inland forests of its kind in the whole continent and is a fiercely protected pocket of wilderness, home to hundreds of wildlife species, including 400 types of birds (colourful toucans included), monkeys, coatis, jaguars and the only marsupial to be found outside of Australia. Combining a jungle experience with a visit to the falls is the favoured option for a great many visitors, and something we thoroughly recommend. This is an absolutely spectacular hidden treasure of Iguazu, one which many don’t account time for, simply because they don’t know it’s there. What adds to the allure of Iguazu falls is the fact that this is one pesky attraction to reach, no matter which way you look at it. In both Brazil and Argentina, it is quite a way from any other major attraction, and flying in from either Buenos Aires or Rio de Janeiro is your best bet if travelling alone, as public bus rides are both never-ending and rather uncomfortable. Do note that flights should be booked well in advance, as last minute prices tend to soar through the roof, especially at holiday times. Both sides of the fall have a base town, with Puerto Iguazu on the Argentinian side and Foz de Iguazu on the Brazilian. Both towns are about 15km from the entry point of the falls and both offer plenty of dining and accommodation options. Although quite a few visitors tend to base themselves on the Argentinian side and make a day-trip to the view Iguazu from the Brazilian side, we find that time wasted with border crossing and transfers make it a long and unnecessarily tiring day. If you have the time, spend one day transferring from town to town, and head to the falls first thing in the morning before the hordes of crowds descend. Of course, you could always let us take care of all the logistics of your trip. 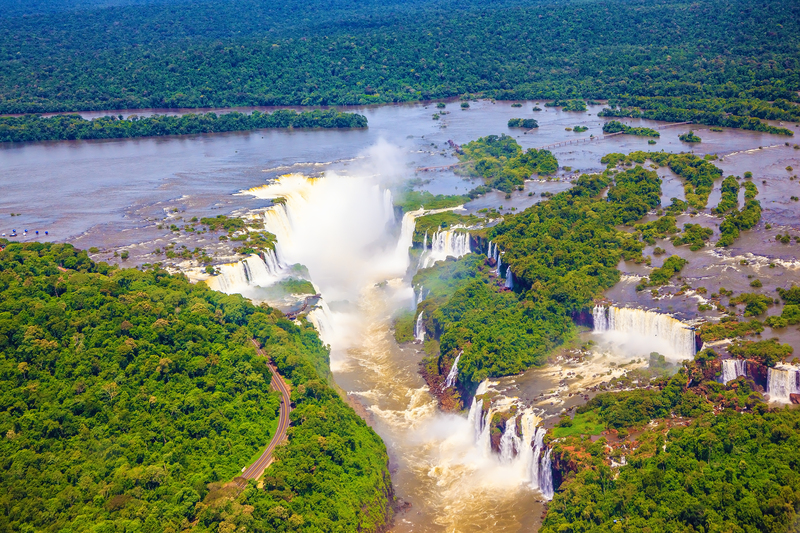 We offer a phenomenal 3-day Iguazu Stopover Tour that will see you take in the very best of the falls from both sides and not worry about a single logistical issue. 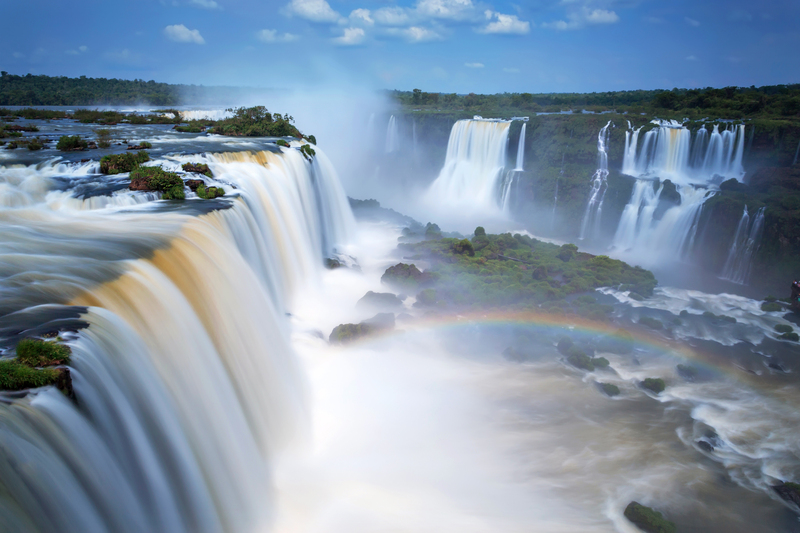 If you’re heading to South America on a trip of a lifetime, we also have numerous extended South America tours that will not only take you to Iguazu Falls but include countless other amazing attractions in Brazil and Argentina, as well as Peru and Chile. Want to really go for gold? Then ask us about our Best of South America Tour where you can visit historic Machu Picchu AND get totally drenched at Iguazu Falls all in the one, unforgettable, 21-day adventure. 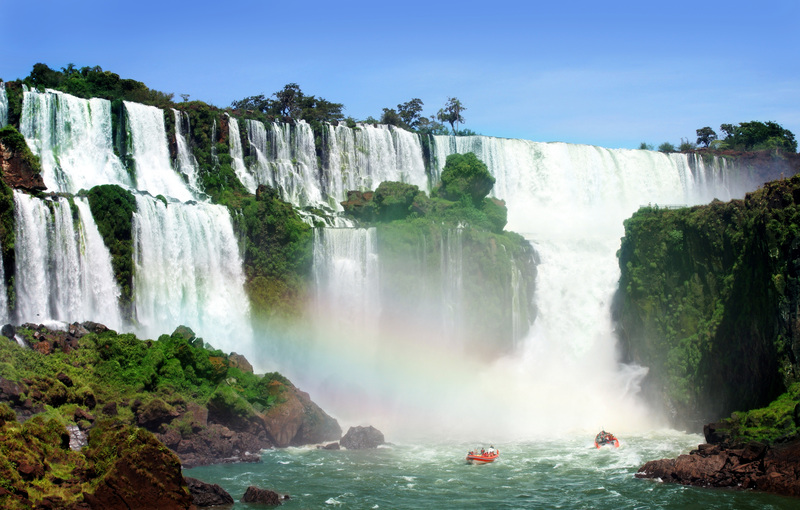 Because if Iguazu Falls wasn’t on you bucket-list before, it certainly should be by now.